Black Panther is the latest Marvel comic to become a film, due to make it to the big screen next month (February 2018). 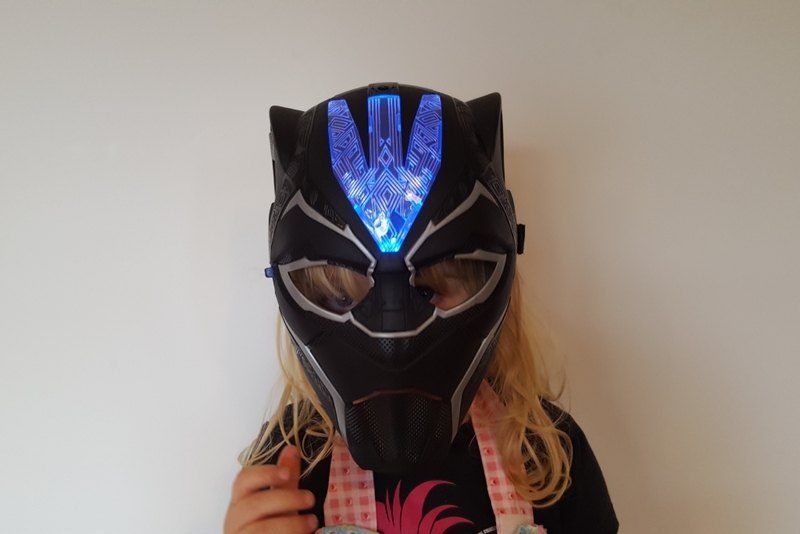 Hasbro have a new range of toys which will be available to coincide with the Black Panther’s release, and as part of the Hasbro Toy Tribe we were sent the Vibranium Power FX Mask and Vibranium Strike Nerf Gauntlet glove to test out. Vibranium is what Captain America’s shield is made of, according to my husband who knows about that kind of thing. It comes from the fictional African country of Wakanda which is where Marvel’s Black Panther hails from. The more you know, eh. 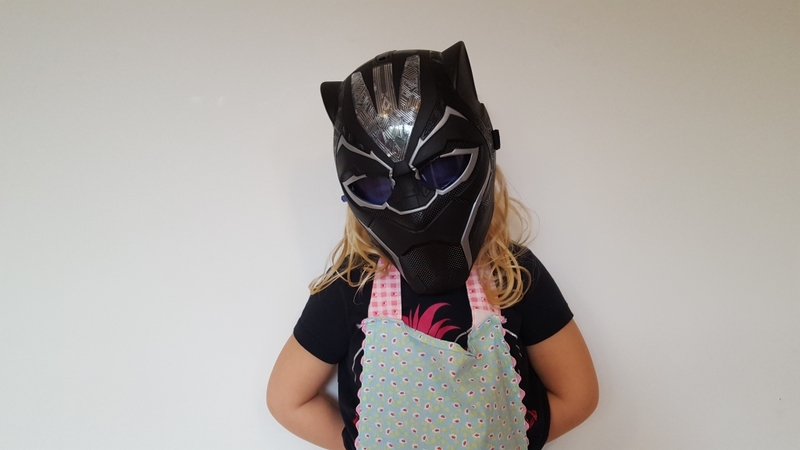 The mask is actually made of very sturdy plastic, and not the mythical vibranium which you know… doesn’t exist. It still looks the part though as I’m sure you’ll agree. 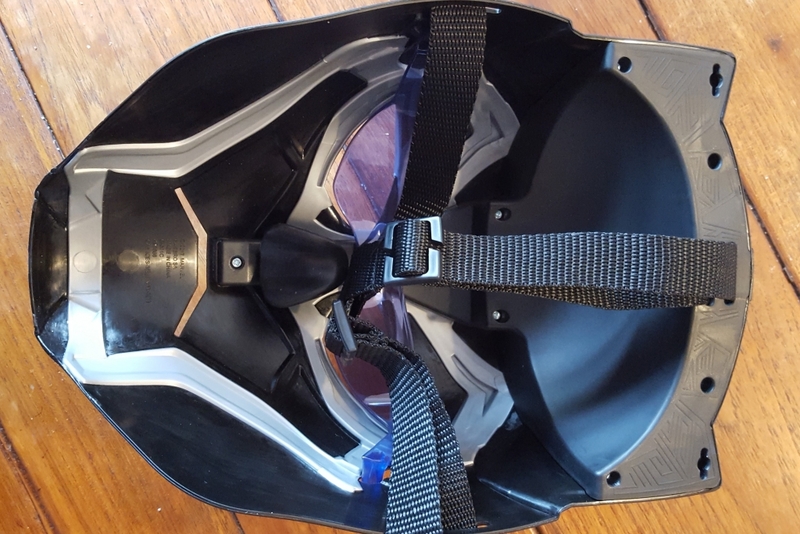 It has a nylon head strap to hold the mask in place, and although it is aimed at children aged 5+ it can be adjusted to fit both my four year old and me. I mean it’s not the most comfortable, but then again I’m not 5. 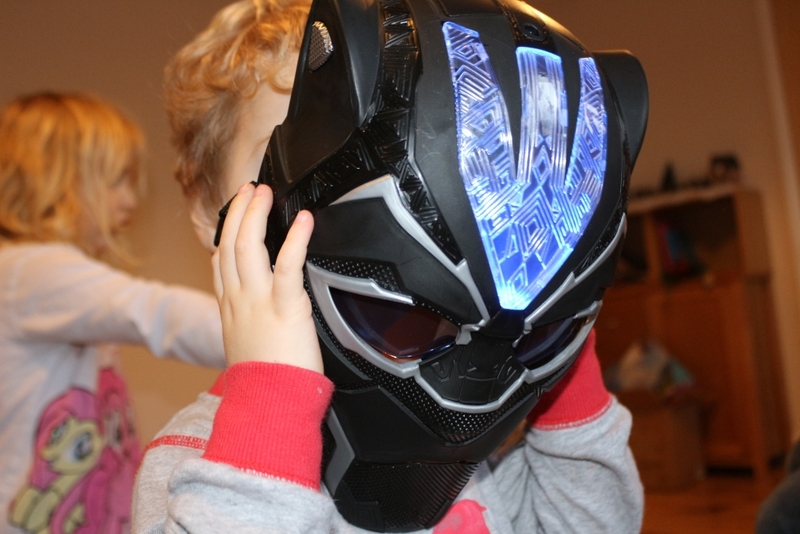 The blue lens flips up and down using a little lever on the side of the mask, and you can activate the light effects (shown below) by pressing the silver button on the mask’s ear. The lights require 1 AA battery to work but a demo battery is included. 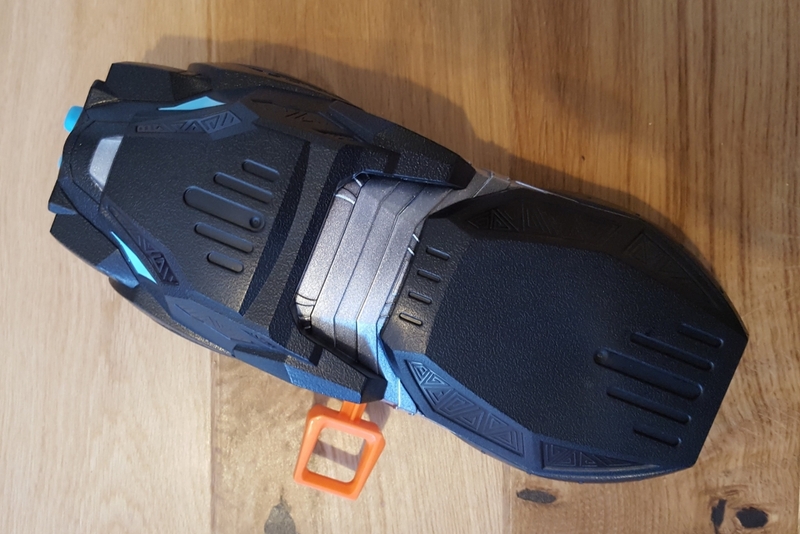 At an expected RRP £21.99, it will make an excellent addition to the dressing up box and I can see my young boy especially – a superhero nut already! – getting a lot of use out of this one! 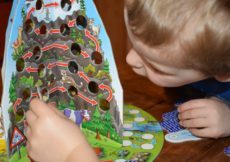 Now this is a fun toy! Half glove, half Nerf gun. Imagine you’re Black Panther and take out the baddies (or your siblings. Or the cat). 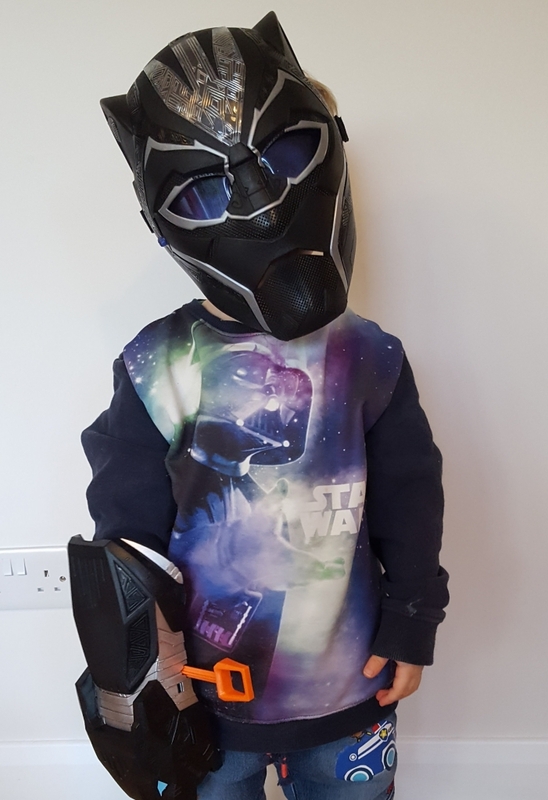 The Black Panther Vibranium Strike Nerf Gauntlet is suitable for children aged 5+ for obvious reasons. 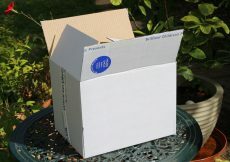 It comes in two easily assembled pieces and fits on your hand. Pull out the orange tab, insert a nerf bullet and then grip the inside handle on the right and your bullet will shoot out at your enemy/little brother. It doesn’t take a particularly hard squeeze to activate it as long as you use your fourth finger and don’t try and press the whole button down. It’s pretty powerful so really you shouldn’t do it in a room with breakable things or at other people/pets. 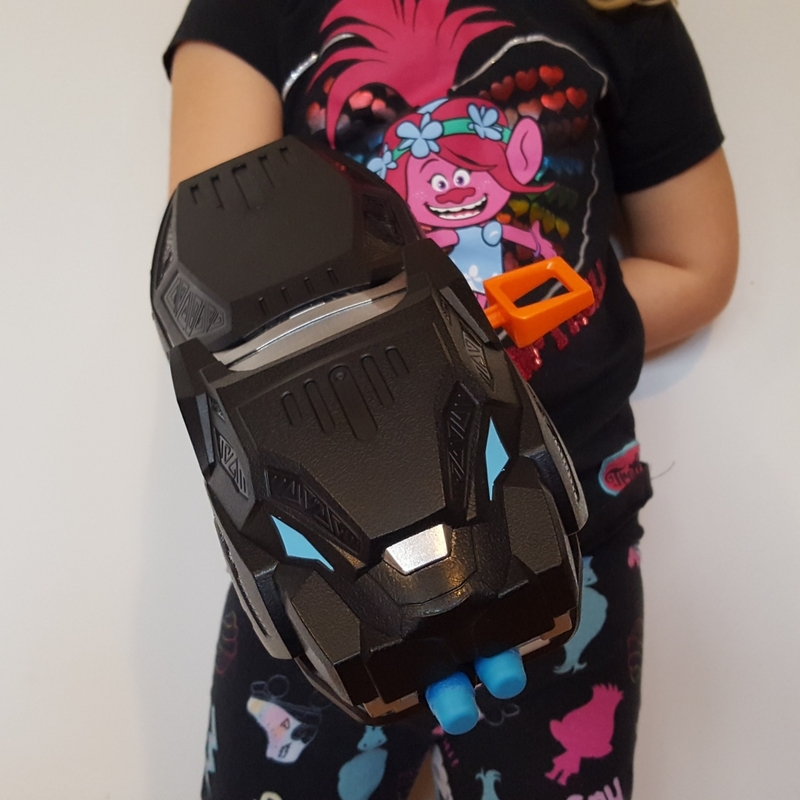 The Black Panther Vibranium Strike Nerf Gauntlet comes with three nerf bullets (one of which was immediately fired never to be seen again…). You can store two bullets in the gauntlet itself. It doesn’t require any batteries and takes normal Nerf bullets. 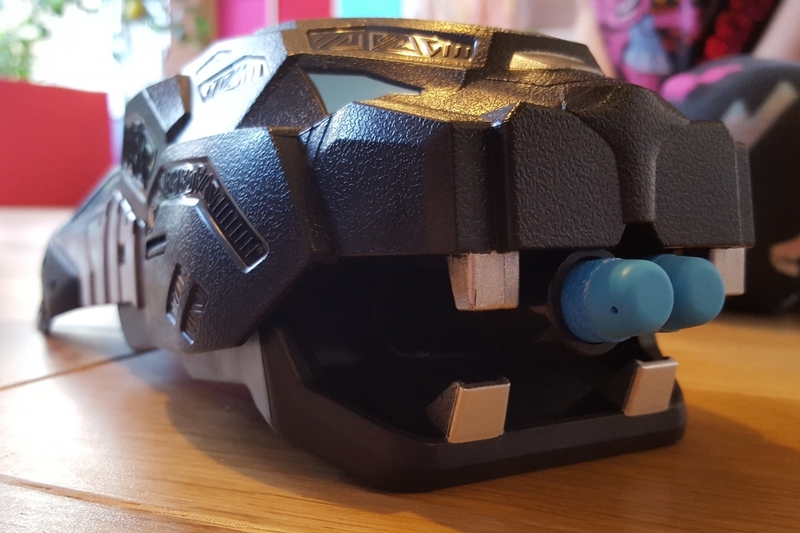 The Black Panther Strike Nerf Gauntlet has an expected RRP of £21.99. 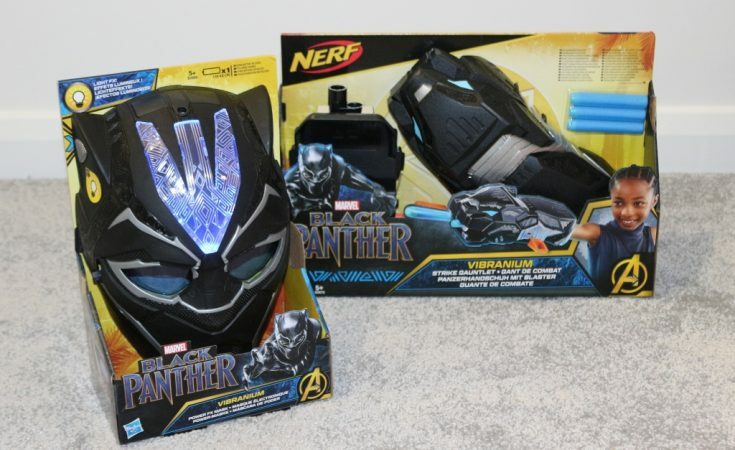 If you are looking to purchase either the Marvel Black Panther Vibranium Power FX Mask or the Strike Nerf Gauntlet, they will be available in early February from good toy retailers! I’ll pop links below when they’re live. We were sent these Marvel Black Panther toys as part of the Hasbro Toy Tribe. All pictures and words are my own. 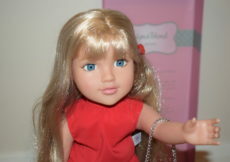 Fall in love with Love Layla Designs this Valentine's Day!